While I get caught up on a couple DVD reviews and my comic reviews aftergetting a roommate moved in and getting settled, here’s a little fun for you to have. 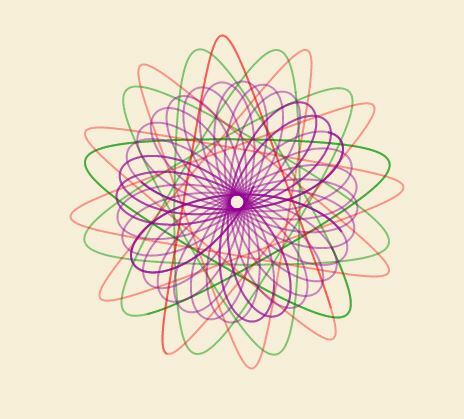 I came across this site called Inspirograph, a digital version of the kid’s toy Spirograph that I had. (Yeah, I know I’m really dating myself now.) But it’s a lot of fun for a little time wasting. Check it out and I’ll get some stuff up soon.